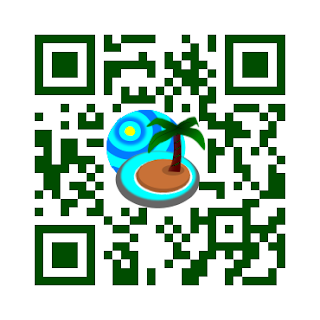 Kangaderoo Custom QR Code. : QR Code overlay vs integration. Quote from the movie Face-Off:: "It's like looking in a mirror, only not." Two QR Codes to support my claim that integrating a picture in a QR code versus overlay can result in the placement of a bigger graphic.The graphic on the left is placed in a High Quality QR Code, while the picture on the right is integrated in a Medium Quality QR Code. Both codes hold the same URL as content. For the integration a lower quality QR Code was selected to generate more room in the area that holds the padding, making room in the code to integrate the picture itself. The overlayed image in the left picture is depleting the error correction ability of the Reed Solomon to the maximum. 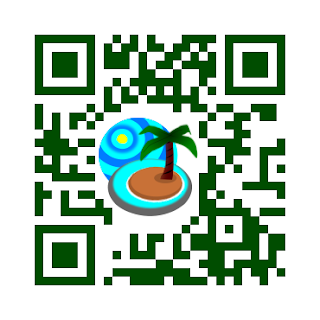 The integrated picture is highlighted more due to the bigger clearance between the picture and the QR Code elements. Claiming that the clearance is part of the integrated picture, in this case the picture in the right QR Code occupies a larger area compared to the one in the left QR Code. The integration also supports automated relinking, a multitude of copies of this one code can be generated, while each individual copy made using the overlay technique has to be checked, and maybe adjusted.